The Godfather, released in 1972, was an instant classic for a reason. Based on an equally spellbinding novel by Mario Puzo, this adaptation by Francis Ford Coppola has kept audiences mesmerized – after initial screenings, people were so amazed that they sat in silence for a good few minutes before applauding – and provided endless lines for us to quote. So here’s an offer you can’t refuse – 25 of the wildest facts about this cinematographic masterpiece. It’s considered the second best movie of all time! Did you know that only one movie has beat this one for the top of the best movie ever list (according to IMDB)? 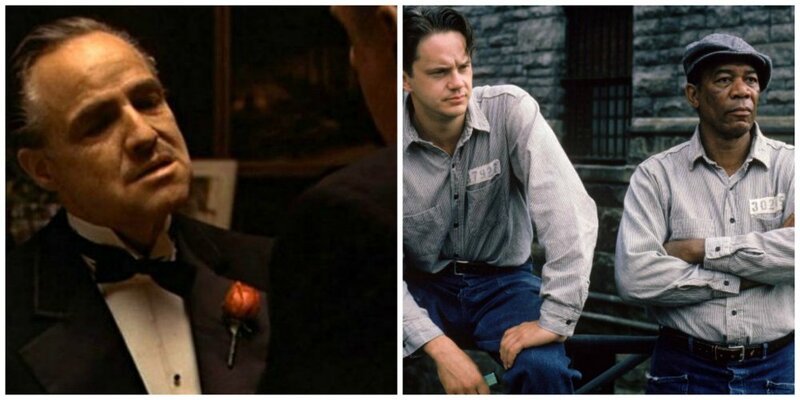 The Shawshank Redemption is #1, with The Godfather at #2. The film still continues to stun, rake in revenue, and was the highest-grossing film of its year.